The American massive bombing campaign in Iraq and Syria against (mostly) the Islamic State (IS) was publicised by the previous US administration as being a "military campaign unlike any other - precise, transparent and unyielding." However, it turns out to be an outright lie: the number of civilian casualties was so grossly underestimated as to make it impossible to have been just a mistake, or a miscalculation. In the effort to boast of its skills, power and accuracy, the Pentagon posted on YouTube and on Defence Department websites hundreds of clips of the bombing strikes. The problem with this is, of course, that the clips can also refute the US military's official version of events on the ground. Adding insult to injury, the Pentagon has engaged in extensive clips removal when confronted with hard facts about some of the bombings. So much for transparency and accountability. According to a deep and long on-the-field research by the "New York Times", there were civilian fatalities in one in every 5 attacks, "a rate more than 31 times than acknowledged by the coalition." Thirty one times! At this rate, since the US Air Force has performed over 27.500 bombing sorties from August 2014 to mid-November 2017, and assuming (unrealistically) two deaths per-5 strikes, we would have 11.000 civilian deaths, more than two hundred times the 466 the USA has acknowledged. And, it should be added, the research did not include the West Mosul battlefront where the fiercest fights took place and where more deaths are expected to have occurred. So much for truth and transparency. Basim Razzo’s home and his brother’s before the US air strike. Basim Razzo’s home and his brother’s after the US air strike. I am under no illusion about zero-civilian-deaths-wars. That is simply not feasible and it does not happen. The problem with the war on the Islamic State is the fake publicity of a near-zero civilian toll which was also proved to be unfeasible. Even worse, is not coming clean about it and taking the path of deceit to try to cover up the obvious. The New York Times’ work uncovered multiple examples of egregious blunders that shatter the pretence of an aseptic war. Here are three flagrant and deadly examples from the Mosul region that show the hoax of near-zero civilian deaths. The parts in bold are my responsibility. According to official accounts, the air war in Qaiyara was remarkably precise: The coalition has stated that it killed only one civilian in or near the town. It was soon clear that many more had died. We visited one house that stood partly intact but for the rear alcove, which had been pancaked. 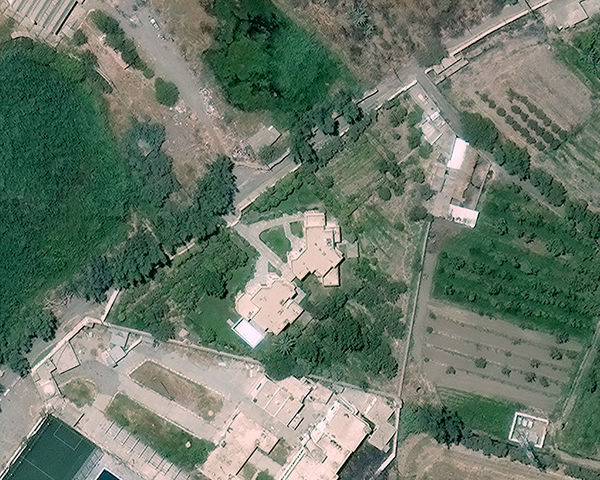 We collected the names and photographs of the dead and checked satellite imagery to confirm the date range of the strike. The deaths were never reported, were never recorded in any public database and were not investigated by the coalition. We continued in this fashion, door to door. What we found was sobering: During the two years that ISIS ruled downtown Qaiyara, an area of about one square mile, there were 40 airstrikes, 13 of which killed 43 civilians — 19 men, eight women and 16 children, ages 14 or younger. In the same period, according to the Iraqi federal police, ISIS executed 18 civilians in downtown Qaiyara. In Shura and Aden, we found a similar discrepancy between the number of civilian deaths on the ground and the number reported by the coalition. But in about half of the strikes that killed civilians, we could find no discernible ISIS target nearby. Many of these strikes appear to have been based on poor or outdated intelligence. He told us that while on a walk one day, he spotted an ISIS mortar under a clump of trees near the rail yard and transmitted the coordinates. (Neighbors also told us that ISIS had occupied and then abandoned a house in the area a year earlier, which a different informant may have told the coalition about.) By the time the information made its way to the coalition and it decided to act, the mortar had been moved. Such intelligence failures suggest that not all civilian casualties are unavoidable tragedies; some deaths could be prevented if the coalition recognizes its past failures and changes its operating assumptions accordingly. But in the course of our investigation, we found that it seldom did either. On the evening of April 20, 2015, aircraft bombed the station, causing a tremendous explosion that engulfed the street. Muthana Ahmed Tuaama, a university student, told us his brother rushed into the blaze to rescue the wounded, when a second blast shook the facility. “I found my brother at the end of the street,” he said. “I carried him.” Body parts littered the alleyway. “You see those puddles of water,” he said. “It was just like that, but full of blood.” We determined that at least 18 civilians died in this one attack and that many more were grievously wounded. News of the strike was picked up by local bloggers, national Iraqi outlets and ISIS propaganda channels and was submitted as an allegation to the coalition by Airwars. Months later, the coalition announced the results of its investigation, stating that there was “insufficient evidence to find that civilians were harmed in this strike.” Yet even a cursory internet search offers significant evidence that civilians were harmed: We found disturbingly graphic videos of the strike’s aftermath on YouTube, showing blood-soaked toddlers and children with their legs ripped off. This is as clarifying as it can get. It is also typical Obama. The man who won the Nobel Peace prize just for a couple of nice speeches could not wage wars, just finish them. Accordingly, the USA, under Obama, did not fight any wars, not in Afghanistan, not in Libya, not in Syria, Not in Iraq, not in Yemen, not in Somalia. Nowhere. After all, there was a prize avant la lettre to justify. So, if you do not want to wage wars, but there are still wars raging on, you just pretend them not to be wars. In this world of make-believe, there are no wars, no fights, no deaths, just a pseudo-aseptic war. And yet, there is a trail of destruction and a death toll that will haunt the war deceivers.